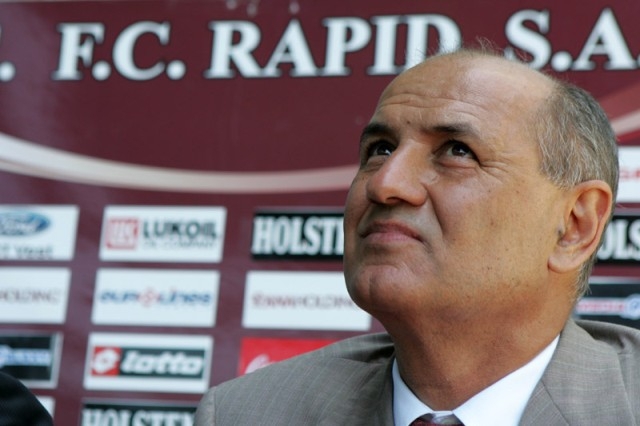 The return of Dinu Gheorghe as club president offered Rapid the opportunity to buy the best players from his former club, who had only missed out on a place in Europe in the previous season. Further more, the new executive guy went over the transfer and wage budgets, with some free signings and expensive deals (Cassio Vargas was bought for 700.000 Euros from Portugal), trying to ensure that the coach has every position doubled and there will be a fierce competition for a place in the first eleven. It was the kind of effort that every coach and passionate fan would like to see, yet the fourth spot occupied at this point by Rapid shows that signing twelve new players in the summer cannot guarantee instant results. Recommended by Rapid’s former striker, Daniel Niculae, now at AS Monaco, the Brazilian centre-back was signed on a free transfer and has been a rock at the back. Impressive physical strength, focused, he’s been outstanding so far and doesn’t really look like someone who stayed away from the game a year ago, when he was busy winning the fight with cancer. With offers coming in already, from Russia and Greece, he could turn out to be an excellent deal from all points of view. Before you call me crazy, let me help you take a look at the good stats from above: he scored in just 4 games, was decisive in only two of them (the brace that decided the derby against CFR Cluj and earned a point against Pandurii), never scored away from home, not to mention that most of his goals were from close range. So, it was a decent return from a striker who could easily double this tally by the end of the season, yet I feel he could have been a lot more influential, which is usually expected from an expensive buy. His total lack of efficiency away from the home ground – where he just has to wait for one of the many quality box that reach the penalty area – can be seen in the standings and it’s something he and the coach must address during this winter break. Rapid cannot afford any important operation during the winter, when they’ll probably try to get some cash, as I don’t see the club determined to go all out for the title – a “strategy” used in recent times by a lot of clubs, which only lead to inflation on the market, absurd wages to mediocre players, all in the name of a possible chance to get all the money back after a shameful presence in the Champions League group stage. The pressure is on the board, who must: choose between the two top goalies, Bornescu and Coman; get as much money possible on players in demand, like Herea or Marcos Antonio; either cut loose the top players that will enter the last six months of their deals or give up on high earning reserve players and come up with convincing proposals. They have been the best foreign players in 2010 and they’re either looking to move in search of a new challenge & more money or have attracted too much interest from the bigger teams in Liga I to finish the season at their current clubs. 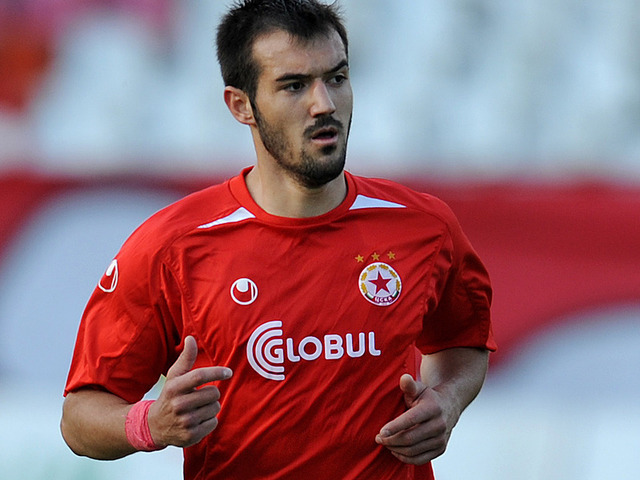 He’s pushing for the league title with FC Vaslui, yet he wants to move away this winter. Again. Last time he did that, club owner Adrian Porumboiu applied the “star treatment”, making the Brazilian the team’s captain, in spite of an attitude he used to punish severely (Carlos Costly is probably still regretting for trying to do things “the hard way”). This time, I doubt there’s something that can be done, as the excellent attacking man (who scored six goals even if he had to play as a central midfielder, in a 4-2-3-1!) will be entering the last six months of a 300.000 Euros/season deal, but he’s wrong if he thinks that this in enough to ease his way out of Vaslui, even if clubs like Steaua and especially CFR Cluj have small chances to finish the season above Porumboiu’s team. Add 7 assists to the 9 goals scored this season and you’ll get the picture: he’s been in hot form since the start of the season and cannot continue under Pustai’s command, although he’ll have a hard time finding a finer coach in Liga I and a similar group of players&friends. He has to try, though, to prove himself in a more challenging environment, as he’s got the age, the experience and the quality to make it at a higher level and he’ll move this winter, in spite of all the problems Gaz Metan have been trying to create, since they’ve realized that they could lose their star player for nothing. His contract with the Romanian club will expire in June 2011, in spite of recent reports spread through papers too lazy to check the information handed to them by Gaz Metan’s board. He’s at the end of an excellent first year and he should move now if he wants to take advantage of the inspired decision to come to Romania, to such a small club and pressure-free environment, like Gloria Bistrita. His brother’s recent release has reduced close to zero the reasons to continue at the club, but the question is who is going to satisfy the old fox Jean Padureanu. He’ll want cash&players, plus a little help to have a safe season, out of a deal that should not go through for less than a million Euros, in spite of visible and laughable efforts from the Becali brothers to decrease the player’s market value through some repeated comments in the media. Ribeiro Moraes is one of the few complete attackers this league has seen in recent times, a skilful creator and finisher, a free kick specialist, the kind of 2 in 1 forward that could help any team that misses both a playmaker and a striker. Garat should be happy to move as far away from Dinamo as possible. He should forget the promising start of the season. The deserved praise for some promising performances and the beginning of a solid partnership with Cosmin Moti, the centre-back who may have returned from Seria A two years ago, but failed to return to form. The scoring ability discovered only after his move to Liga I. He will keep in mind though that, if you’re willing to make a career in Romania, there are a few guys out there who control everything, even if they’re not officially involved in the game anymore. One of them is former FIFA agent Ioan Becali, who once criticized the Argentinian centre-back more for the fact that he signed with Dinamo without going through him rather than for the quality of his performances. Garat replied by asking “Giovani” to keep quiet and stop talking about him and may have laughed in disbelief when he received a text message saying that he’ll never get to play for Dinamo again. Today, the Red Dogs announce that they have released Juan Pablo Garat, considering that he failed to adjust to Liga I due to several medical problems, after 13 matches for the club and 2 goals. Of course, the decision has nothing to do with Becali’s threat. Garat did get to play two more games for Dinamo, after that episode. 15 minutes in the 11th round and 10 more minutes in the 16th round. Rapid can win the league, if they’ll manage to finish it! George Copos and Rapid have high hopes for a club with such a low level of professionalism! Second place in the league, impressive displays especially at home, biggest chances to win the league according to the bookies. This is Rapid? Well, yes, but not exactly. The club’s problems are bigger than the lack of consistency when playing away, the poor quality of their strikers or the increasing tensions from a dressing room full of players who (think thay they) deserve a place in the first eleven, especially in goal. They surfaced in the press this morning and speak not only of the already mentioned financial troubles, but also of some poor management from the board and a lack of professionalism that had been experienced in the past, at Rapid. the players haven’t been payed for more than two months and were hoping to see some cash after last round’s away win at Sportul; instead, they got yet another promise that this will happen after the derby against Steaua. Which is scheduled almost two weeks from now. 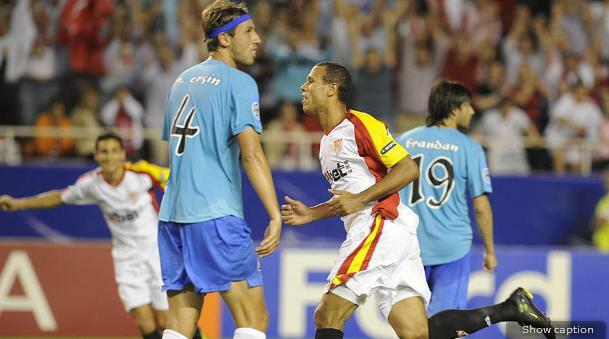 The Portuguese Candido da Costa had the surprise to find his appartment without gas and electricity, problems that angered so much Vladimir Bozovic last season that the Montenegro international left Bucharest and threatened not to return at the club.